Sun Hatch - has tilting sunroof, tinted glass and radio as standard. (Car does not have any Sun Hatch badges). Black Pearl - based on ES. Black paintwork with Silver Strobe stripes. 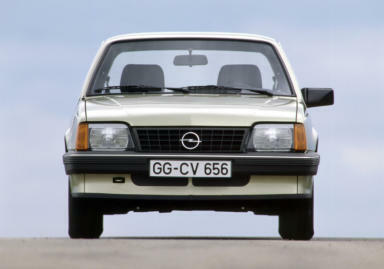 Of note is the fact that the Black Pearl was displayed at one of Vauxhall’s ‘Command Performance’ Trade Exhibitions at the Forum Centre, Wythenshawe, Manchester in 1981. Silhouette - based on ES. Black paint work with Strobe stripes. Specials - based on L version. Starlight and Midnight The Starlight and Midnight were special editions made in very limited numbers. Only 125 Midnights and 75 Starlight’s were made and they were only available from certain Vauxhall dealers in a selected area of London and the Home Counties. Included in the £2958 asking price was 12 months road tax, number plates, delivery charge and VAT (at 8%!!). The Starlight is silver with Black Plaid cloth trim and strobe coach lines and the Midnight is Black with Red Plaid cloth trim and Red Strobe coach lines. Dealer Special Editions. A number of dealer’s created there own “Special Editions” here are a few. Chevette Jubilee To commemorate the Queens Silver Jubilee in 1977 the main Vauxhall Dealer in Chester came up with this special edition which was the first by any car manufacture to introduce a Jubilee Special. 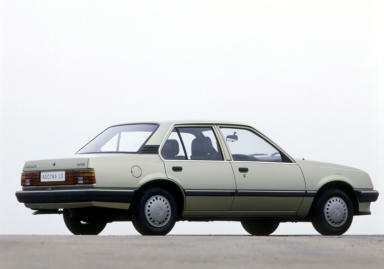 The car is based on a standard Chevette L’s mechanicals but came with various distinctive exterior and interior extra’s. The car was painted metallic Silver with a contrasting royal blue side flash and vinyl roof/tailgate cover. The car came equipped with a Britax Sunroof, extra door mirror, mud flaps, wheel trims, locking filer cap and overrides front and rear. Only 25 of these cars were built but as demand was high so an additional batch of cars were built. Cost was £2,540.00. Do any of these cars exist? 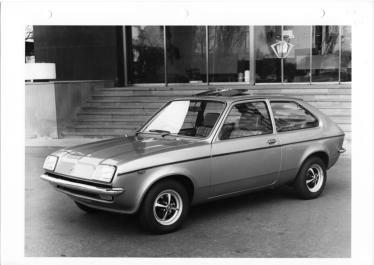 Did you have a Chevette Jubilee and have a picture of it you can send us to use on the site? SMT Chevette Ecosse This is a special edition by SMT a Vauxhall Dealer in Scotland. It came in either blue/silver or green/silver and was available between X and A-Reg. Extras were britax glass sun roof, rostlye wheels, head rests, centre console and hinged parcel shelf. On the rear of the car the Vauxhall badge was Chevette Ecosse lettering in metallic blue. Are any of these cars left on the road and does anyone have any pictures if so please send us an e-mail.